There are three tasks in the assignment. The entire three tasks are discussed with the use of journal entries in the books of accounts. A brief of the assigned task also described in the form of theory. The aim of defining each task in theory form was to make understand the each task easily. Journal entries for each task will be giving in the below assignment. Revaluation of fixed assets is the technique which describes the true and fair value of the fixed assets of the Company. It is the process of evaluation of the present value of the capital goods of the business. By this process of revaluation the carrying value of the fixed assets either decreases or increases (Lewis , 2012),. The decreasing and increasing amount of assets by revaluation is accumulated in the equity and depict in the balance sheet of the Company. Anderson private limited is an Australian Company. In Australia every Company follows the IRFS i.e. international financial reporting standards and Australian accounting standards issued by the Australian board. 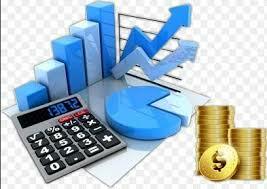 Company will revalue the fixed assets of the Company as per the Australian accounting standards. As per the IFRS the fixed assets should be initially recorded in the books of account at the purchase cost and after that two models can be apply by any Company which is cost model and revaluation model. In Revaluation model the initial cost of the assets at the time of purchase appreciated by adding the fair market value of the assets of the Company. This appreciated value is carried in the books of accounts of the Company. 1. It helps to evaluate the true rate of return on capital employed. 2. Through this process Company can easily negotiate the fair price of assets of the Company before merger and acquisition by any other Company. 3. It also helps in reconstruction of the Company whether internal or external. 4. It also has advantage of issuing shares to the existing shareholders. 5. It also helps to get the fair market value of when Company will do sale and leaseback transaction. 6. Company takes loan from banks and financial institution by mortgaging its fixed assets. Revaluation of fixed assets will help them to get the loan amount of higher value. 8. When the assets value get decreases, revaluation method helps to conserve the funds for replacing the existing fixed assets of the Company. Anderson private limited wants to bring the fair market value of fixed assets in the books of the Company. As per AASB 116 (2010) AASB 116 is applicable for property, plant and equipment.As per AASB- 116 after measuring the fair market value of property, plant and equipment, revalued amount will be carried after deducting accumulated depreciation. If there is increase in value of assets due to revaluation, then the increase amount will get accumulated in the equity in the balance Sheet. As per the list of property of Andersion Company there is upgrade revaluation in the valuation of land and building of Factory (NSW). It is not normal gain which will be not be shown in the income statement of the Company rather it will get credited and accumulated to the equity account called as a revaluation surplus ( Bobitan et.al (2013).. The revaluation amount will be calculated after deducting the accumulated depreciation from the assets and then deducting that amount from the current market value of the Company. This revaluation surplus will be credited with all the upward revaluations made from the assets of the Company until these assets are disposed of by the Company. There is downward revaluation in the building and land of the (QLD) factory of the Company. The revaluation surplus will get debited with decrease amount in the revaluation of building and plant of the Company. a. Revaluation of fixed assets of Anderson Pvt. Ltd. In the above mentioned journal entries the revaluation surplus is going upward in the Factory (NSW) and revaluation surplus is going downward in the factory (old). The revaluation surplus is calculated after deducting the accumulated depreciation from the fixed assets of the Company. The gain calculated due to upward revaluation of the fixed assets of the Company is not normal and will be shown in the balance sheet of the Company. The gain from the upward revolution will be accumulated with the equity amount in the balance sheet. Fair value of debentures is the present market value of debentures. It is calculated by using various methods. In the below calculation the effective interest method is applied (Blankespoor et.al 2013). Fair value of debenture will help to calculate the accurate interest amount over the period of debentures. As per AASB 9 (2012), Effective interest method is a method which is used to discount the debentures. This method is applied for those debentures which are to be sold at discount. The discount calculated is amortized and distributed throughout the debenture life. 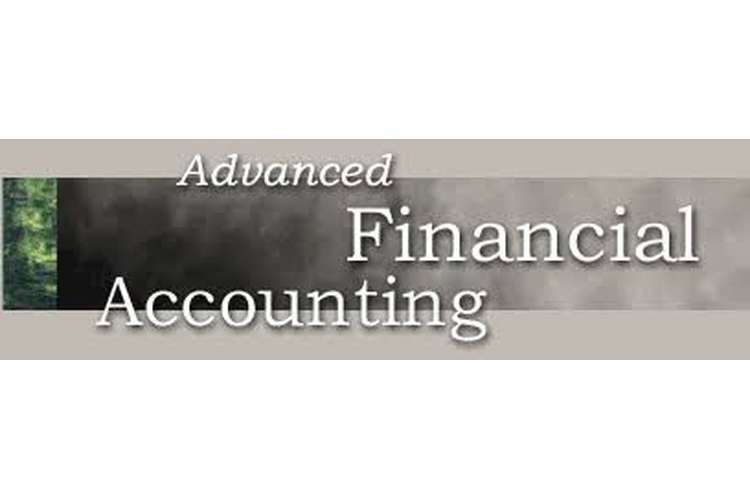 The accounting standard for Effective interest rate is AASB – 9. According to this standard the interest revenue can be calculated by amortizing the interest over the duration of the debenture. 1. Effective interest method is useful in finding out the right figure on the interest earned in any financial instrument. 2. It is most preferable over the straight line method which calculates accurate value of interest rate over the duration of the debenture issued. 3. It is commonly used by various businesses in case of issuing bonds like debentures. The percentage of completion method is used for construction companies. It is an accounting method used in work in progress evaluation. This method is used for contract of long term duration. The revenue is determined by using this method. In the starting years the estimated revenue, cost and profits are considered and in the last year the actual cost is deducted from the estimated profits calculated in the previous years (Egan, 2015 ). This method is used to recognize the revenue and gross profits in all the duration of the contracts. It is calculating the revenue of not only the applicable periods of the contract but also at the time of completion of contract. Then total expected revenue will then multiply by the percentage of completion calculated above so that we can know the total revenue that have been earned till 2015. Then total expected revenue will then multiply by the percentage of completion calculated above so that we can know the total revenue that have been earned till 2016. Work in progress A/c Dr.
Construction in progress A/c Dr.
C. Prepare Journal Entries for the financial 2015, assuming the stage of completion cannot be reliable assessed. Cost of Construction A/c Dr. The entire above task were mainly focusing on the accounting journal entries for different purposes in different Companies. The discussion is made on the various advantages of the revaluation of fixed assets and their journal entries in the books of accounts. In the above task the fair value of debenture was also calculated and journal entries were also passed for the same. The above task also described the percentage of completion and how journal entries for long duration contracts can be made. Bobitan , N., Costuleanu , C., & Dumitrescu, D. (2013). the differences between revaluation and assets impairment. Anale. Seria ?tiin?e Economice. Timi?oara, (XIX), 64-72. Emmanuel Iatridis, G., & Kilirgiotis, G. (2012). Incentives for fixed asset revaluations: The UK evidence. Journal of Applied Accounting Research, 13(1), 5-20. Kimbrough, S., Kuo, A., & Lau, H. (2010). Effective heuristic methods for finding non-optimal solutions of interest in constrained optimization models, Paper presented at the 295-296.